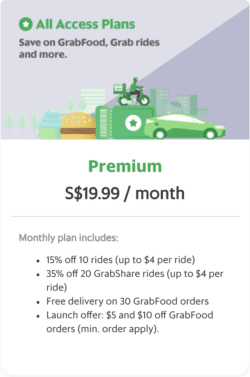 Why aren’t there any more promo codes from Grab? We understand many of you miss the promo codes that we used to have for transport. We hear you. As we grew from just ride-hailing to offering a plethora of services such as food delivery, parcel delivery and payments, we are now focused on creating more long-term value for you across our ecosystem. We want you to get the most bang for every buck you spend on our platform. Having said that, there will always be a role for targeted promotions to encourage the use of our various services, including transport, food, parcel delivery or e-payment. We have created a savings model that integrates our collective services, and rewards users who use them. As such, we are now offering subscriptions, a stamp card and an enhanced GrabRewards program – when taken together, these are more holistic ways of offering value to users. We will continue to explore and experiment with more ways to create value. Subscriptions are monthly, auto-renewable plans that offer savings to regular users. There are several plans available, depending on the passengers’ individual travel patterns. For example, the Commute Plan (Lite) costs $19 per month and allows passengers to get $4 off 10 rides. This means, users on the Commute Plan (Lite) get $40 in value and save $21 monthly. The plan was developed because we noticed passengers taking a Grab ride as their “first-mile, last-mile” option (e.g. from home to a transport node like an MRT station and from a transport node back home), or booking Grab for business meetings throughout the day. Subscriptions can be cancelled at any time and are paid via GrabPay credits. Besides offering our own subscription plans, we have partnered with other businesses to bring you even more value. One of them is SCORE, brought to you jointly by Grab and FairPrice. Besides many benefits from Singapore’s leading supermarket chain, FairPrice, Cheers, Qoo10 and Zalora, subscribers enjoy Grab-specific benefits such as 20% off 15 rides per month after taking 5 non-discounted rides the same month. 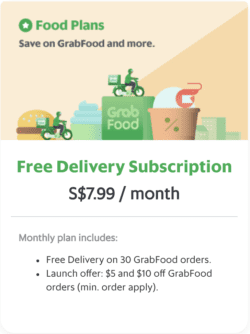 Subscribers also enjoy 10 free GrabFood deliveries each month (minimum order of $20 each). SCORE costs $29.99 ($2.50 per month) for the first year. Head to www.scoresg.com to find out more. 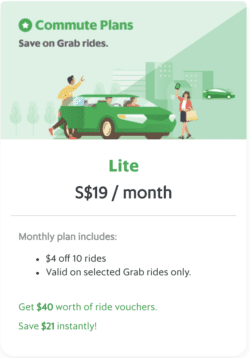 What are the other Grab subscription plans that are available currently? 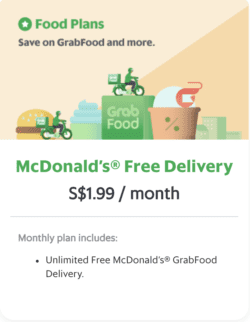 In Singapore, we currently have these plans: All Access Plans (Basic and Premium), Food Plans (Free Delivery Subscription and McDonald’s® Free Delivery) and the Commute Plans (Lite, Basic and Extra). How do subscriptions work together with other reward programmes that Grab has rolled out? Our subscriptions work hand-in-hand with our reward programmes. This means that rides taken using the vouchers bought on the subscription plans are also eligible for stamps on the stamp card and GrabRewards points. Purchasing the Commute Plan (Lite), Andy pays $19 per month, and gets $40 in value (voucher for $4 off 10 rides) and $21 in savings. 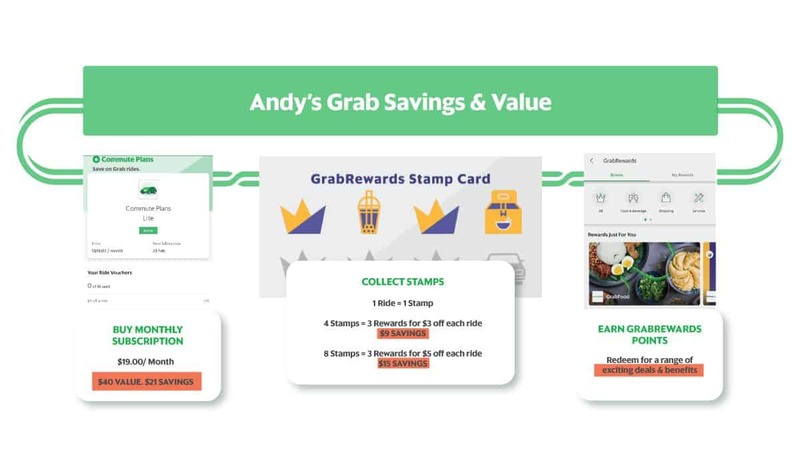 Andy then collects stamps with Grab’s stamp cards. Currently, passengers get one stamp for every ride taken – rides taken using the Commute Plan are counted! Once Andy collects 4 stamps, he will be issued with 3 rewards for $3 off each ride (this is a further $9 of savings). When he collects 8 stamps, he will receive 3 rewards for $5 off each ride ($15 savings). Occasionally, Grab might issue bonus codes. Overall, if Andy takes at least 8 rides using the Commute Plan, he will have earned, in total, savings of up to $45. When you spend on Grab, such as when you take a ride, you earn GrabRewards points – so, in this case, each ride that Andy takes using the Commute Plan will also be eligible for points. GrabRewards is our loyalty programme where users accumulate points in order to redeem for a slew of exciting deals and benefits. These include, among others, movie tickets, discounts on accommodations when you reserve on Booking.com and seasonal shopping deals. Besides that, users can also attain various membership levels, from “Member” to “Platinum”, with those on the highest tier enjoying exclusive perks such as priority allocation and a dedicated hotline. Passengers can also earn and redeem points in any of the 8 countries and 235 cities across Southeast Asia that Grab operates in. On your Grab app, head to Subscriptions. From there, pick the plan most suited for you. Pay using GrabPay credits. 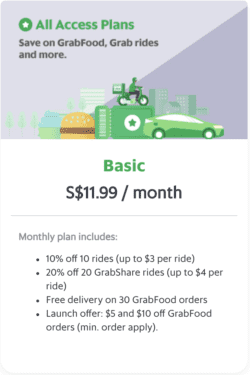 Ultimately, we at Grab want you to save with every dollar that you spend on our platform. By expanding and innovating our subscription plans and creating new reward programs, we are working hard to ensure you get better value – everyday! What kind of Singapore pet owner are you? Social Butterfly, Pageant Mum (or Dad) or a Fitspiration?